They've already been added to the roster posted on the Reading & Northern's website. Thinking about this acquisition further, I have to say........ I hope, considering where they are going (and perhaps I'm getting way ahead of myself here), that the Reading and Northern gives them a fitting R&N representative livery, and not a duplicate of the old Reading FT, F3, F7, or FP7 livery. If they did, that would be way too many Reading F-units running around. We've got the FP-7s 900, 902, & 903, plus the URHS's fake F-7 284. It would be very nice if these two wore a unique dress and stood out among the other F-7s in the area.............. my 2 cents, and I'm sure we won't be seeing them out on the rails for a while. They're gonna need a lot of work. 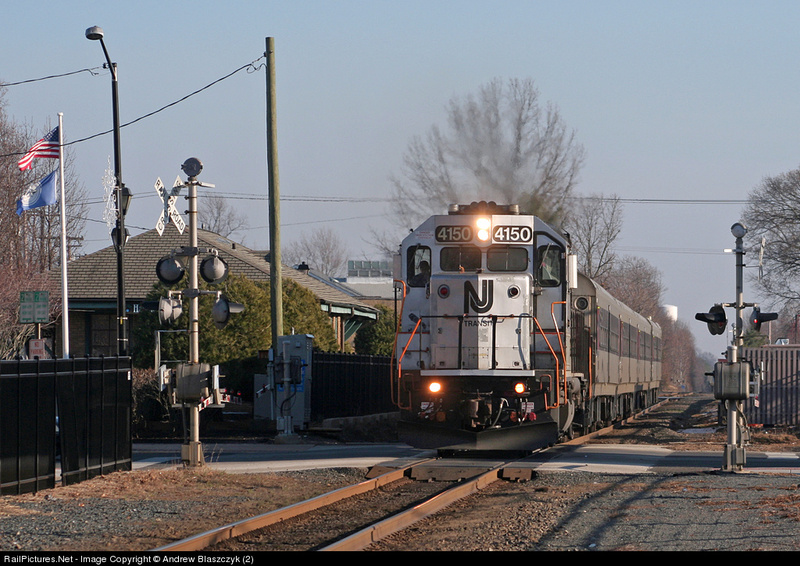 NJT4272 wrote: They've already been added to the roster posted on the Reading & Northern's website. Geez!!!! That was harsh! I was just hoping for a little diversity and something unique! To imply that I'd rather see them scrapped is going a bit far. Perhaps you would be happy if every single piece of preserved and restored rail equipment was simply painted flat black with white road numbers and reporting marks! I'm sure that our South Jersey sleuths will be on the lookout but does anyone know when this equipment will be moving out? The NS locos you are seeing is the power from the various loaded stone trains (62X). There had been issues in the past with vandalism and kids playing on the power when they were parked along the BEES. Storing them in the open SRNJ yard is an attempt to deter this. Does anyone know if the F units and RDC have moved yet? Seems someone would have seen them if so. The moved on CA-51 today. WPCA51 took them north today. Well, that about figures. I actually made it down to Winslow today to see a lot of empty rails. They have certainly "cleaned out the garage" down there. I spotted a couple fellow railfans who were probably equally disappointed. From what I've heard, the two former Blue Comet coaches are going to be next. At last report, they (or at least one at the moment) were being prepped to be moved. This move(s) will apparently be done via flatbed as neither car is equipped with roller bearings thereby preventing transport by rail. CNJ 1172 on the old wye track at Winslow. I think I read that the cars were headed up north to the railroad shop in Boonton, to be rebuilt. TOMSTV1 wrote: I think I read that the cars were headed up north to the railroad shop in Boonton, to be rebuilt. Correct. They are both owned by the URHS who's shops are in Boonton.